Professor Emeritus Snyder's poetry and prose has been published in more than 20 languages. 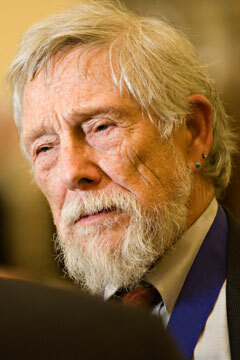 Snyder, who is also associated with the Beat writers of the San Francisco Renaissance period, was later awarded a Pulitzer Prize for his book Turtle Island. He was elected a fellow in 1987, and is a recipient of the Wallace Stevens Award and the Bollingen Prize for Poetry. He is a member of the American Academy of Arts and Sciences and a John Simon Memorial Guggenheim fellow.